Jörg Fehlinger is CEO and Co-Founder of FITROCKR, the innovative next generation platform for Medical, Health and Fitness Analytics & Gamification. Since its launch in 2017, leading organizations across the globe have successfully implemented Medical, Health and Fitness analytics as well as fitness gamifications that have led to double-digit increases in activity levels. 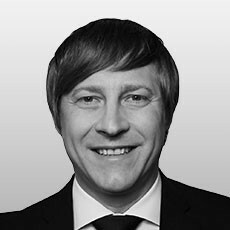 Jörg holds a Master degree in Business Administration, has completed an Executive Education at Harvard Business School, and has more than 15 years experience in management consulting for blue chip companies.